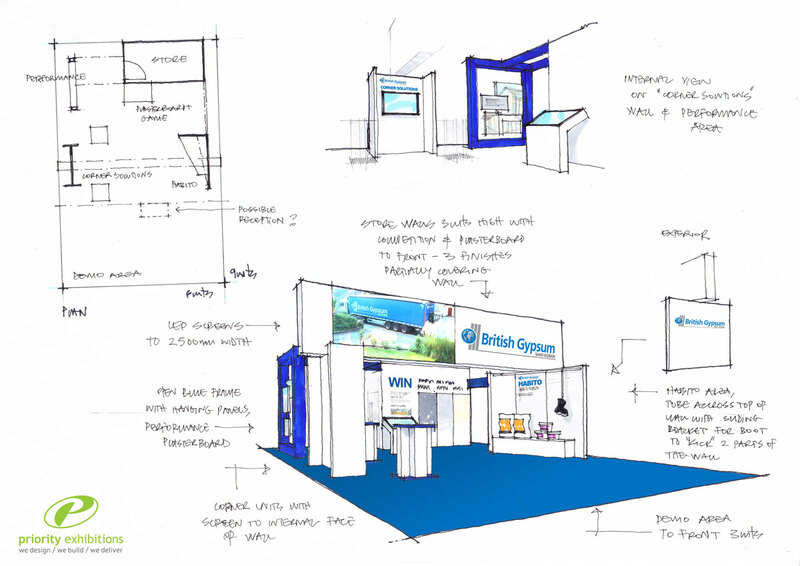 The brief for British Gypsum involved designing an interactive stand which would draw in the installer visitors to get involved with the brand and the product. 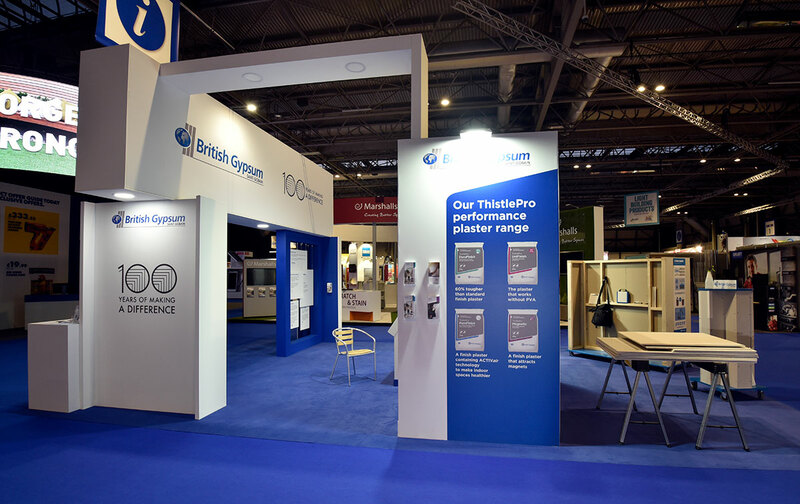 The primary objective was to demonstrate the varied benefits of the range of plaster products that British Gypsum offer to installers and tradesmen. 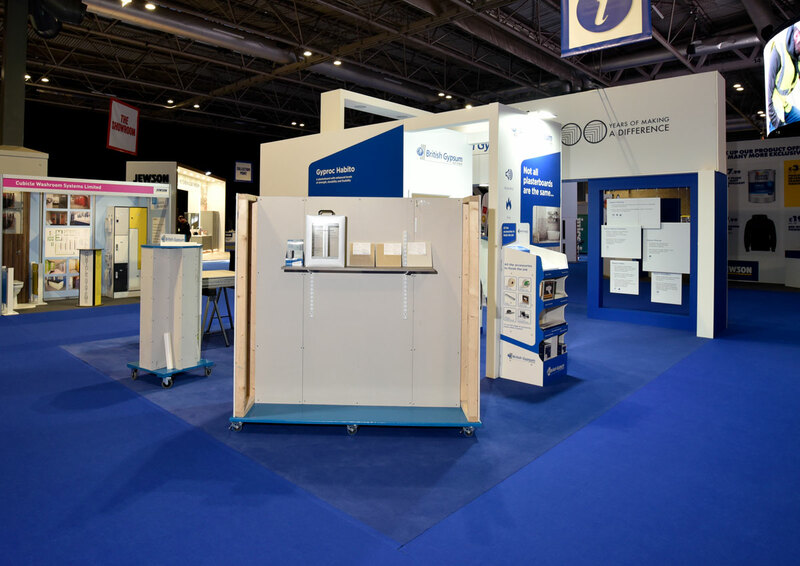 Our challenge for this stand was to enable a demonstration area in one section of the stand and show how the products could be used in applications. The second area was designed to focus the installer visitor into the brand. Feature areas here included a touchscreen game and another screen running rolling video footage of the products being used. 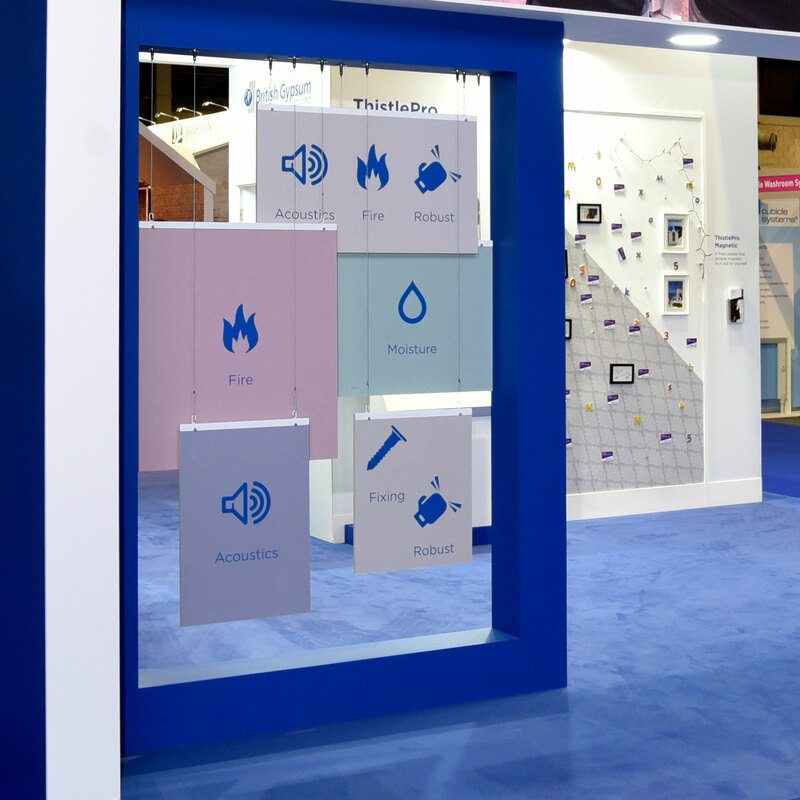 To display the properties of one of their products which was a unique magnetic plaster, we created an interactive feature wall using magnets, hooks, photo frames and magnetic letters, all of which displayed the strength and magnetic properties of the product to the installers. 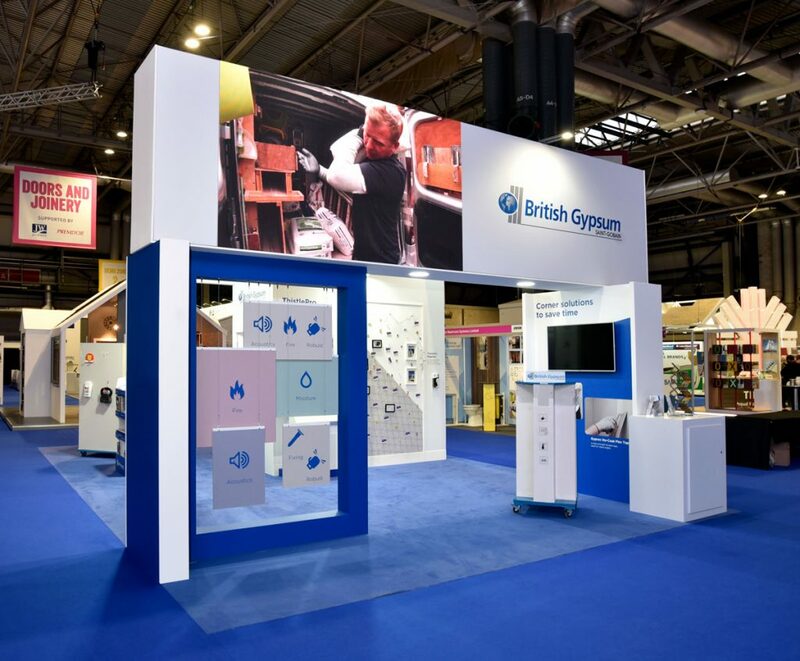 As the Jewson Live conference was attended by many competitors to British Gypsum, the main purpose of the stand was to attract installer traffic to their stand. To create the wow factor, we created a 2.5 x 1.5m LED wall built within the fascia of the stand which could be viewed from all corners of the hall to attract visitor traffic. After learning how to use the product and how we could best display it in situ, we created some of the structure in workshop which then had to be prepared, wrapped and be shipped in transit straight to the venue. Considering the tight space and the level of products displayed, the stand had a very light and airy feel. A practical operative was also supplied to help with practical demonstrations for the show duration. With multiple stands designed, built and delivered over twenty-eight years, we have the knowledge to build practicality as well as pizazz. Designing a stand that features product demonstrations is key to attracting visitors and drawing footfall across to your stand. 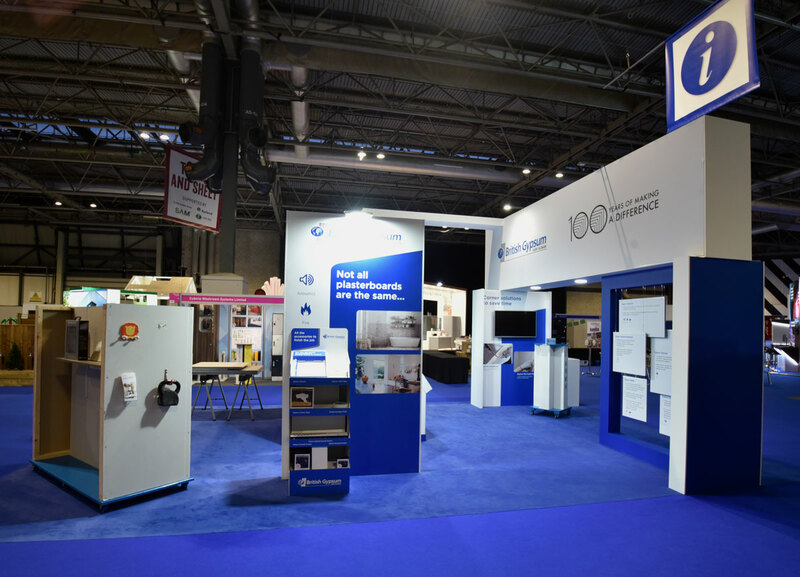 With clever use of design, we can build your stand into a hub of activity and attract new customers to view your products and services in innovative ways. With large screen LED integration, we can maximise and supersize your products and services to wow your customers. With your stand the focal point of your current and prospective clients, quality is not for negotiation. 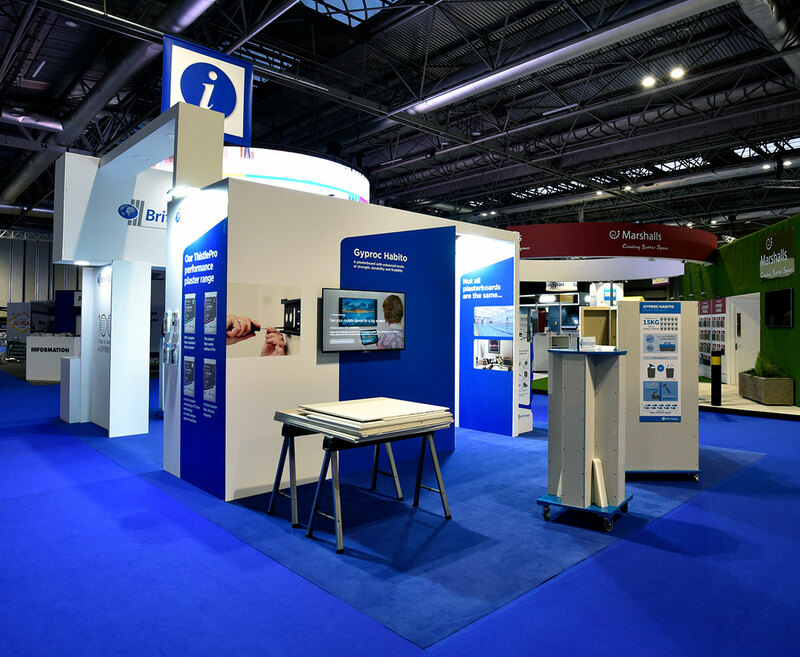 Our craftsmen ensure the highest quality finish and attention to detail is offered to all our clients, no matter how small or large the stand solution, Priority Exhibitions means quality.